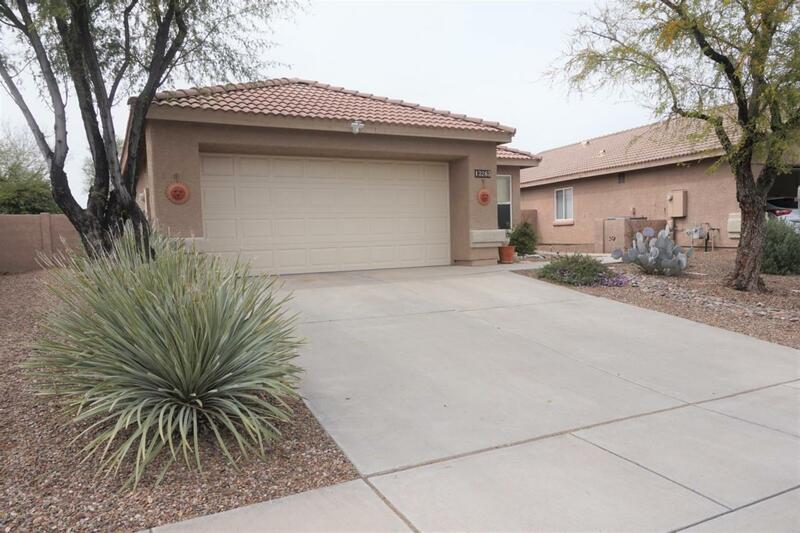 Charming 3 BR/2BA upgraded Rancho Vistoso home. 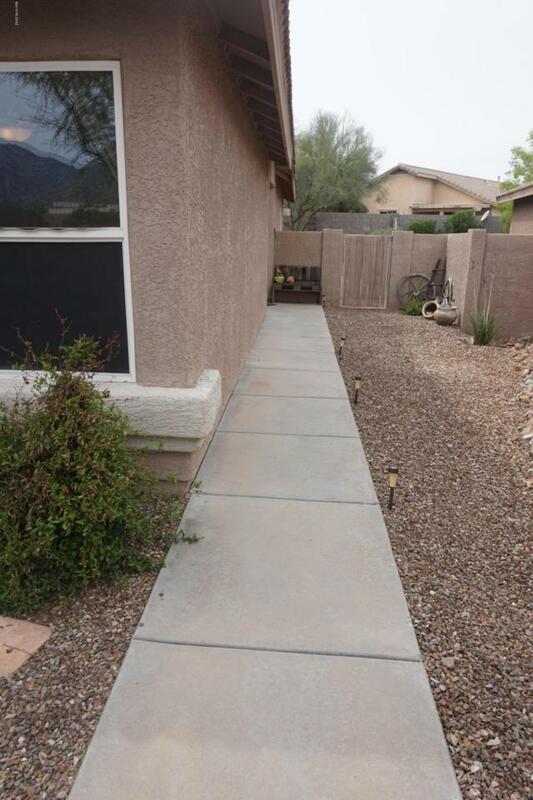 Entry Foyer w/security screen door opens to Great Room w/gleaming laminate floors, vaulted ceilings, sliding door to patio. 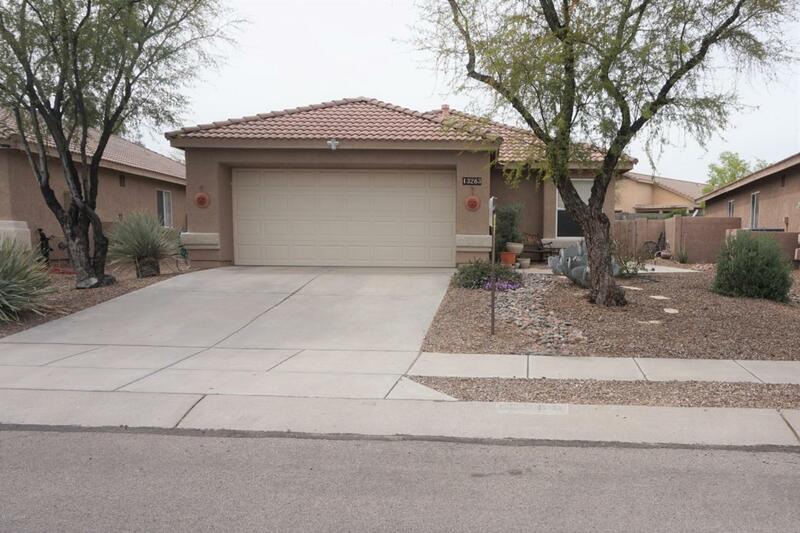 Dining Area open to Kitchen w/granite tile counters, double sink, built-in microwave, newer stainless ''Energy Star'' electric range & dishwasher. Laundry Rm w/cabinet, washer & dryer. Tiled floors in Kitchen, Dining, Hall, Baths. Spacious MBR w/walk-in-closet, jetted tub; BR2 w/bay window, BR3 w/mntn views! Hall Bath w/tub. Both tubs w/glass shower enclosures. Ceiling fans all rms. HVAC new 2014. 2 car garage w/storage shelves. 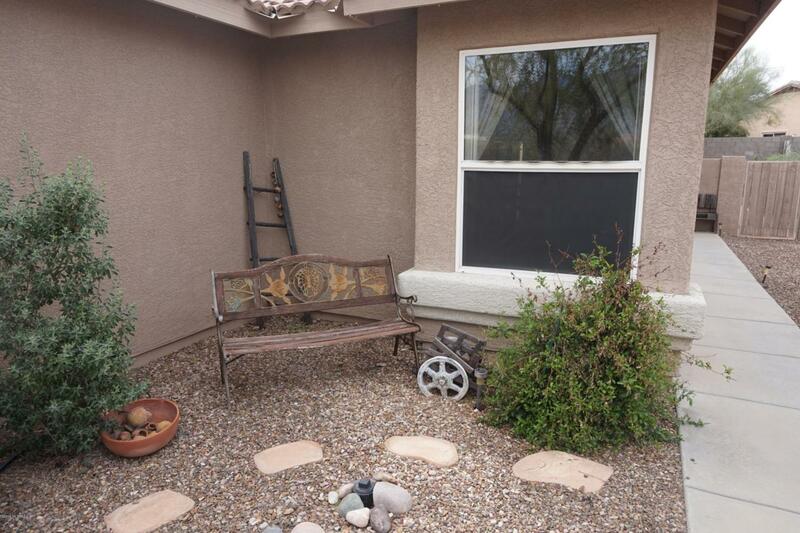 Very special backyard w/cov'd patio, ext'd brick patio w/shade cloth cover, raised brick observation patio to enjoy mountain views, fully walled yard. Perfect for snowbirds or year round living! !